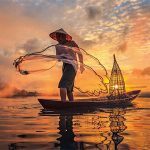 From Angkor Wat to remote river towns, Indochina Tours gives you 12–day journey down the Mekong River and into the heart and soul of Indochina. Our local guide will share with you the region’s cultural treasures and natural splendors. 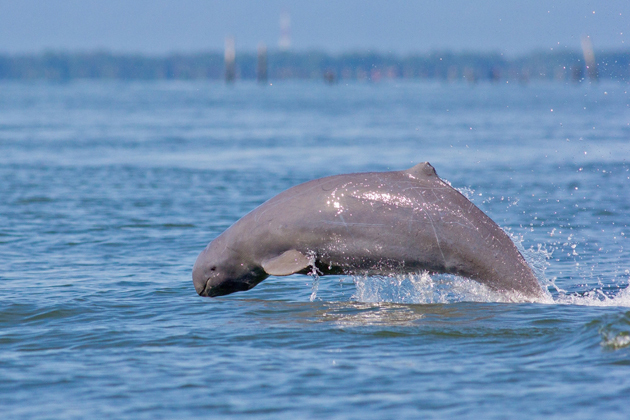 Explore the numerous temples and spot a rare Irrawaddy dolphin. 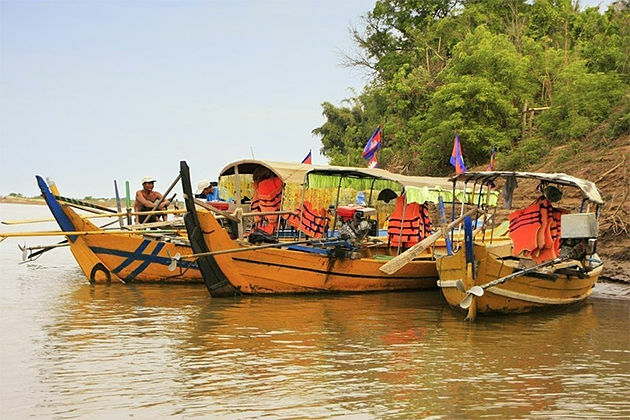 Experience the outstanding sites with a chance to get off the beaten track and explore the remote islands of Don Khong. 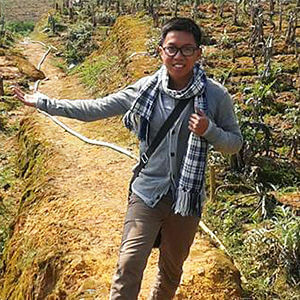 With local transportation and authentic accommodation, like a rural homestay, this adventure offers an intriguing blend of included activities and free time for personal exploration. Welcome to Cambodia! Upon arrival, you will meet your local tour guide and check in the hotel. The rest of the time if your own leisure. 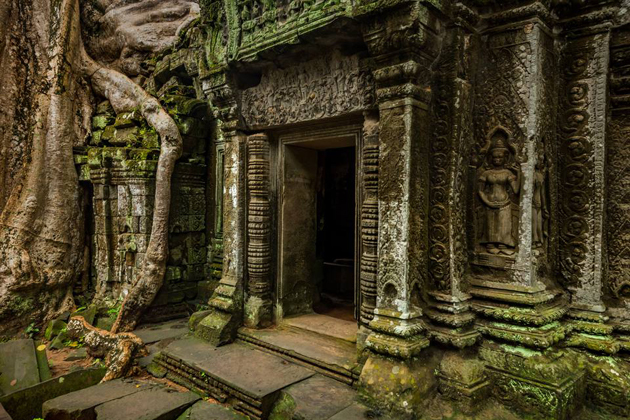 In the afternoon, start your journey to the magnificent Angkor Wat temple. 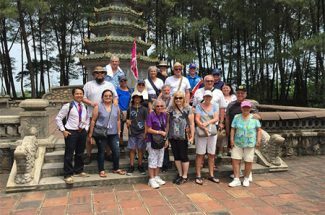 Our local guide will give you a delighted insight into one of the largest and undoubtedly the breathtaking of the monuments of Angkor Archeological Park. Angkor Wat, built during the reign of King Suryavarman II in the early 12th century, is constructed following the model of the temple mountain symbolizing Mount Meru, the home of the gods. Explore inside the temple, you will see the walls are covered with stone carvings and bas-reliefs depicting Hindu mythology and the wars Suryavarman II fought during his reign. Enjoy the spectacular views from above and get an idea of the sheer size of the temple as you ride in a tethered helium balloon that takes you 120m up in the air! 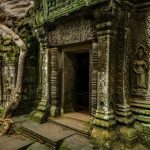 Explore Angkor Wat, Phnom Bakheng, West Baray and other ruins amongst the surrounding jungles and rice paddies glimmering in the best evening light. 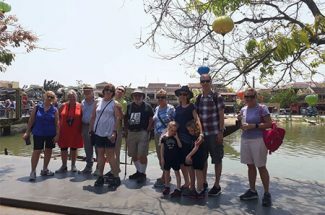 After breakfast, you will be driven to Phom Penh and taken on an amazing tour around the central city as Indochina Tours takes you around many of its colonial structures together with modern, post-independence architecture, and have memorable experiences when communicating with the locals. Firstly, you will begin your tour with a Tuk-tuk ride to the historic French Quarter of Phnom Penh. 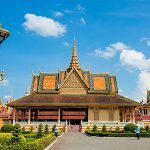 Continue with the Royal Palace, built in 1866, is home of the King of Cambodia and his family and served as a venue for the performance of court ceremony and ritual. 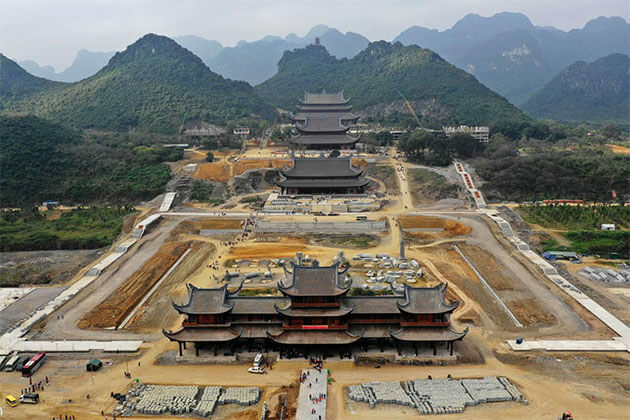 The vast compound houses the Silver Pagoda, named for the 5,000 heavy silver tiles that adorn its floors. You will also admire the collection of Buddhas, crafted in gold, silver, crystal, and bronze. Continue your trip to the National Museum, which was built in traditional Khmer style and surrounded by lush gardens, houses the world’s foremost collection of ancient Khmer artifacts dating back to the 4th century. 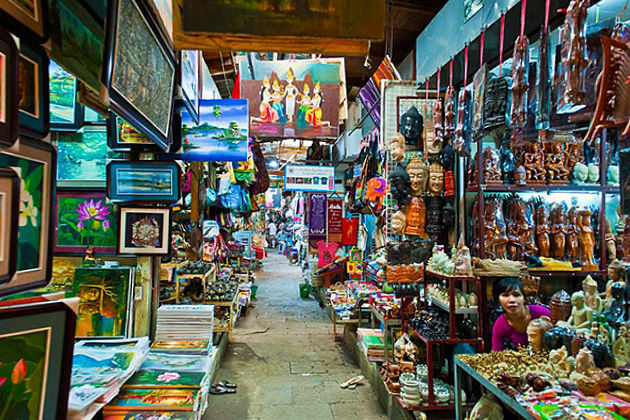 Your full-day city tour will not be completed without a visit to Russian Market – a must–see for any tourists to Phnom Penh. 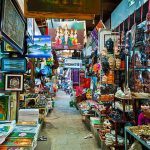 Here, test your bargaining skills as you wander through the heaving stalls filled with souvenirs, local handicrafts, and branded goods. Also, there are some attractive food stalls if you keen on a snack after your day sightseeing. 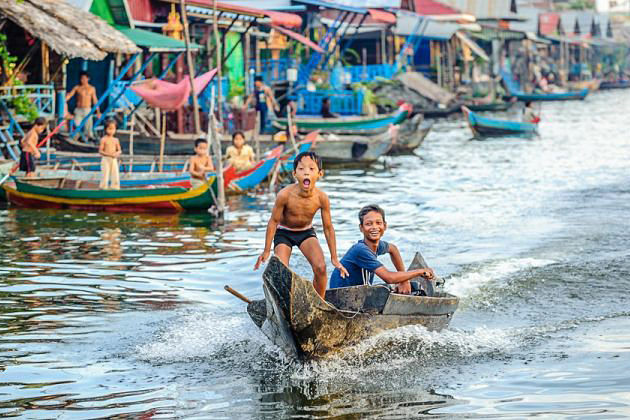 Start your early morning by a drive to the countryside and take a boat trip on Tonle Sap Lake, which is the largest freshwater lake in Southeast Asia and officially designated as a UNESCO Biosphere Reserve. It’s also a place of one of the strangest events in the world. You will be watching some of the migratory birds that can often be seen at the edge of the water. Travel out to Kampong Phluk, a village quite further away but which receives very fewer tourists. 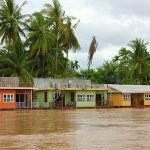 Therefore, this stilted village is the best place to see the authentic life of the local fisherman and their families who live among the flooded mangrove forest. At Kampong Phluk, board a local boat for a ride on the lake. 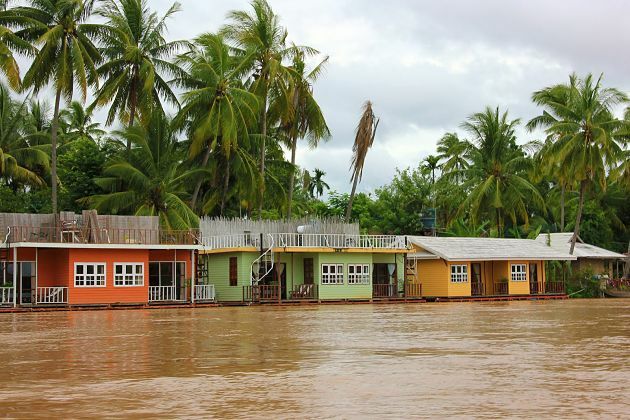 On the way, you will see houses on stilts that are submerged with the lake extends, pass by floating houses and impressive flooded forests and relax on the water. At noon, a delicious lunch will be prepared for you in one of the floating houses. Soak up the beautiful scenery dominated by the tranquillity of the lake. Then, return to the city and take your free time to explore. After breakfast, Indochina will take you to a peaceful and beautiful Kratie. It genuinely is an ideal place to stop off at when doing a combined tour of Cambodia and Laos. Because of its peace, there’s not much to do here, so you just need to simply spend your time leisurely wandering along the Mekong. The life taking place on and around the river provides a spectacle you simply do not want to miss. Additionally, other activities you can experience in Kratie are hiring a scooter and head off to meet local people. They always have a warm welcome to offer, and you get a chance to enjoy richly rewarding encounters with genuine local people. Following your breakfast, continue your Cambodia & Laos Mekong Adventure Tour by a trip to the Cambodia/Laos border. 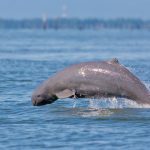 After completing necessary border formalities, head to Don Khong Island which is the largest island, part of the 4000 islands that include the Sii Pan Don area. Mostly local people live on fishing but the biggest business here is palm sugar production due to a large number of palm trees. What can you do on this island? Khonephapheng waterfall on the island is a highlight for a trekking day tour. 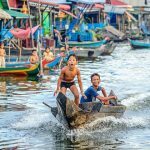 A lot of fishing village along the river bank are waiting for your exploration such as Muang Saen or visit and learn more about the daily life of locals. 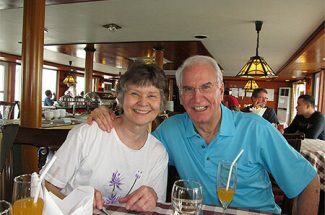 Indochina Tours recommends you a good way to explore is hiring a boat and sailing around. 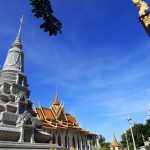 In addition, there are also a number of pretty temples and monasteries to discover in this island, among them is Wat Phu Khao Kaew, where tourists can visit and communicate with the monks to learn about their life. 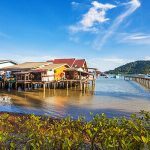 Thus, with its lovely fishing villages, serene monasteries, and lush vegetation, Khong Island offers a unique opportunity for visitors to discover the lifestyle of Laotian. 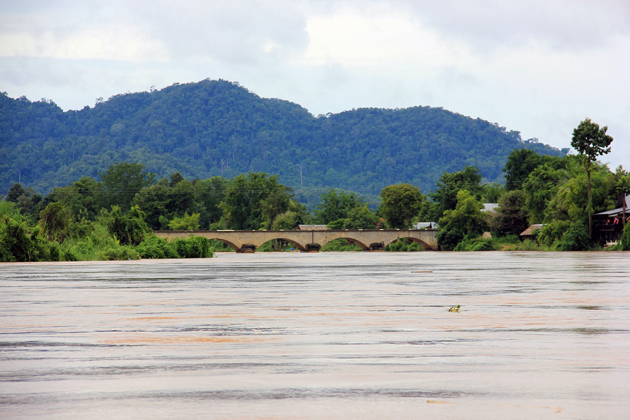 Today is another day for you to marvel at the beautiful scenery along the Mekong River. 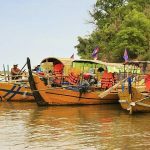 Start your morning by soaking up Don Deng, a small and idyllic island on the Mekong, not far from historic Champasak town, gateway to the Wat Phou World Heritage Site. 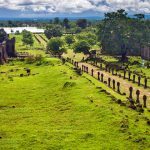 Tourists can stop off on the island to relax and enjoy Lao rural life before or after visiting the Vat Phou temple complex or en route to the 4,000 river islands in the Deep South. Accommodation is offered in a community lodge or with local families and tourists can spend their day billing or walking around the island’s tree-shaded paths and sandy beaches, exploring the variety of cultural sites and sampling its abundant fruits and fresh fish. 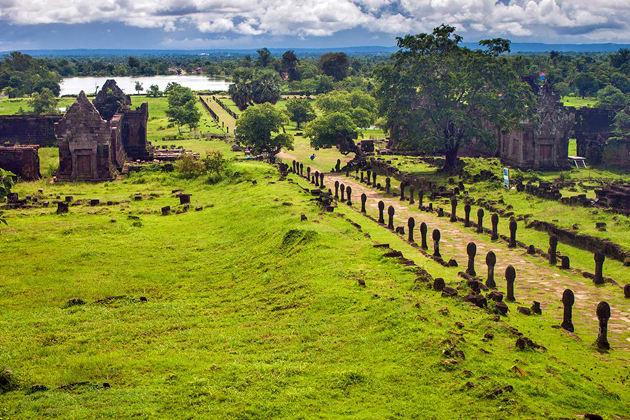 Following your lunch, you will visit ancient stupa on the island which dated back to the era of Vat Phou, plus Buddhist temple, basket weaving villages and protected community forest. Overnight in a rustic homestay on Don Deng Island will be a fascinating experience. 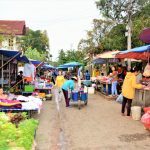 A typical Laotian village environment doesn’t have all the creature comforts of home but it allows for insight into the local culture and connection to the locals. 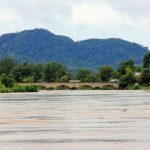 In the early morning, you will be driven to Pakse to take a short flight to Luang Prabang and continue to explore Laotian Buddhism and architecture. 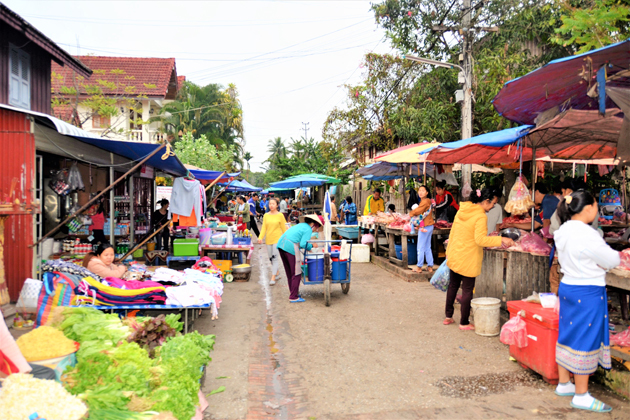 Start with a visit to Morning Market, a lively street where locals stock up on all sort of amazing supplies, from colorful vegetables to live frogs. Then, make your way to the King’s Palace at the National Museum, where you’ll witness the history and present life of Luang Prabang. 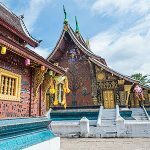 Next, stop at Wat Sen, one of the city’s most sumptuous monasteries, and finally Wat Xieng Thong temple with its spectacular low sweeping stylistic roof, It is Luang Prabang’s most famous and renowned monastery. Following your lunch, travel directly from Wat Xieng Thong to the Mekong River to board a private traditional long-tail boat for a cruise up the Mekong River. We then cross the river by and have time to soak up the Pak Ou Caves adorn with thousands of gold lacquered Buddha statues. The Pak Ou Caves rest where the Mekong and Nam Ou Rivers meet with breathtaking limestone cliff and jungle scenery. There are lower and upper caves that are accessible by stairs and you should not ignore this wonderful sightseeing. 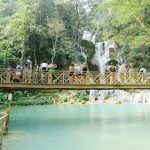 After breakfast, your Cambodia & Laos Mekong Adventure Tour will continue by a visit to the Kuang Si Waterfall, which is possibly the most beautiful natural setting in the country. Immerse yourself in the natural pool or let your body relax with a massage in an idyllic setting at the base of the falls. En route to the falls, stop at the Bear Sanctuary and see the bears, which are rescued from bear bile farms and illegal private zoos in their rehabilitation enclosures. 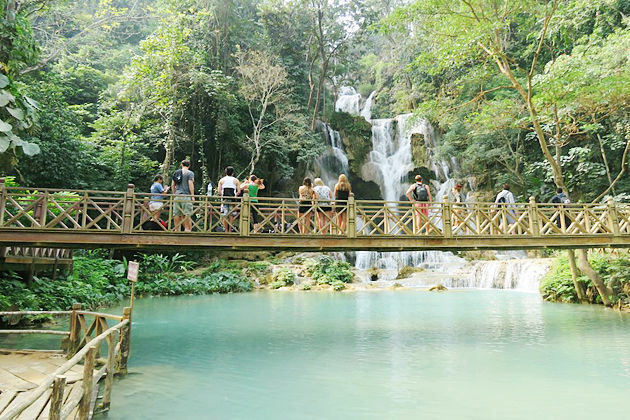 Take time to stroll along Kuang Si Waterfalls where you can admire clear blue water pools, let yourself be carried away by the beauty of the landscape, go for a refreshing swim or climb up to the top of the falls via a small path if you are brave and want to challenge yourself. Afterward, for your return journey to Luang Prabang, we recommend taking a picturesque cruise along the Mekong River. At that time, simply relax and marvel unforgettable sunset view is a great way to end up your day. Today is free for you to explore every corner of the city. 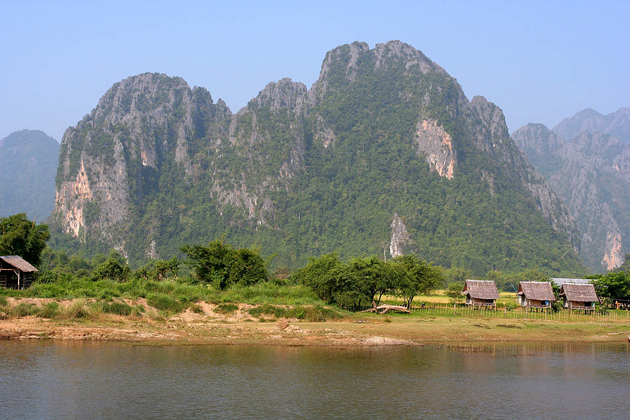 Your morning begins with a drive to Vang Vieng, a town resting on the Nam Song River surrounded by limestone karsts. Along the river, visit the first cave, Tham Xang (Elephant Cave). Then, visit the nearby Tham Hoi cave (Snail cave) which winds its way deep into the mountain. 45 minutes of discovery through numerous long corridors with wonderful limestone formations. Another cool pool of spring water, also a good place for a swim, lies at the mouth of Tham Nam (Water cave). 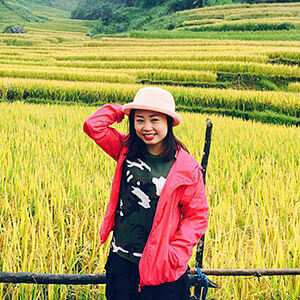 After a picnic lunch, the trek to the Hmong village of Phathao passes through rice paddy fields and vegetable gardens will continue your tour. 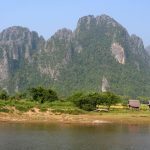 The journey back to Vang Vieng varies according to the level of the Nam Song. Descending the Nam Song by kayak leads tourists through idyllic scenes of rural life: a unique sight with the Limestone Mountains in the background. 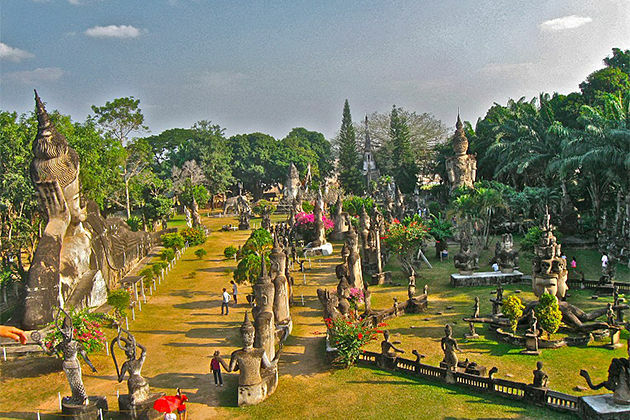 Depart in the early morning, Indochina Tours drives you to one of Asia’s sleepiest capital cities, Vientiane. Vientiane, as all of Laos’ major cities, is located on the Mekong river which forms the lifeline of the country. 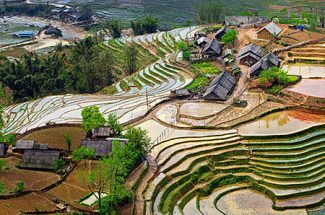 Here you can witness fields of rice and vegetables, agriculture hidden behind tree lined avenues. French Colonial architecture sits next to gilded temples. 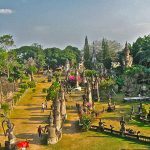 First, you will visit some of Vientiane historic sites such as the infamous Wat Sisaket, the oldest and only temple that survived from the Siamese war in 1828. However, it is most well–known for a wall housing thousands of tiny Buddha images behind rows of hundreds of seated Buddhas, dating back to 16th century. 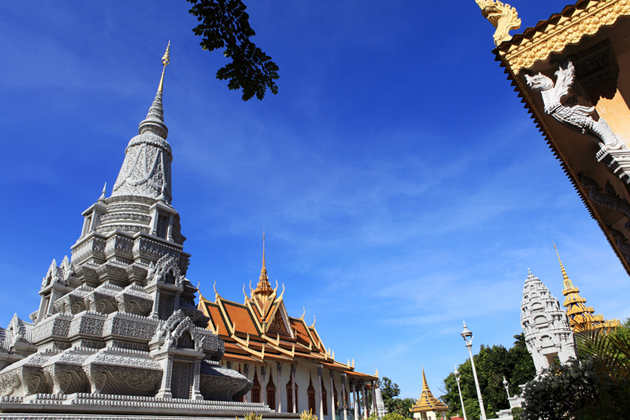 Then, we continue with a visit to Wat Ho Prakeo, which is one of the most impressive and imposing temples of the city. 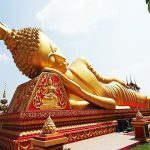 Here, you will have a great chance to soak up carved wooden features, lacquered door, Hindu carvings and Buddha statues of the Temple of the Emerald Buddha. 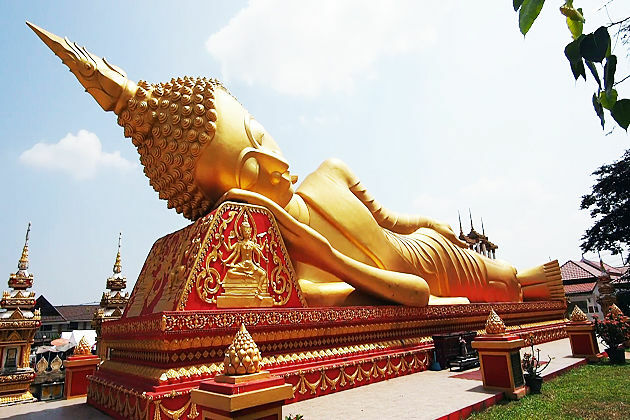 Next, don’t miss to visit Vientiane landmark, the golden That Luang Stupa. This is the single most important monument in Laos that was built to cover the original small stupa containing a piece of chest bone of Buddha. After your lunch, continue your trip to the-, a scattered enchanting collection of Buddhist and Hindu sculptures on the Mekong River meadow, close to the Friendship Bridge. There are approximately 200 religious images dating back over 500 years, created by a mysterious monk spreading his philosophy on life and revealing his ideas about the universe. 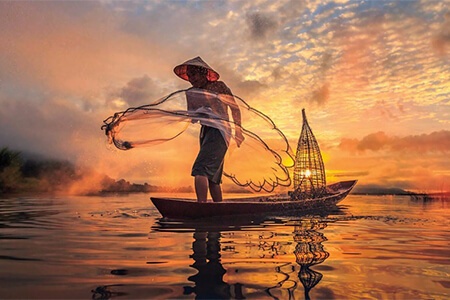 Finish your day by strolling along the Mekong River and immerse yourself with the spectacular sunset. 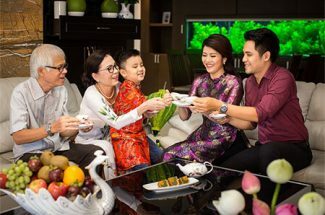 After your breakfast, take your free time to explore until Indochina Tours drives you to the airport for your international flight back home. We wish you to have an unforgettable time with our itinerary. Enjoy your vacation!